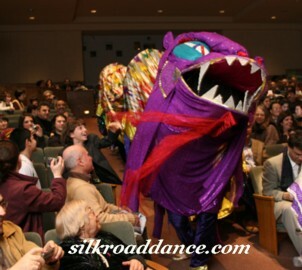 Philadelphia — Patrons of the Philadelphia Museum of Art recently had a chance to enjoy a taste of Persian culture to mark the Persian New Year, or Nowruz. 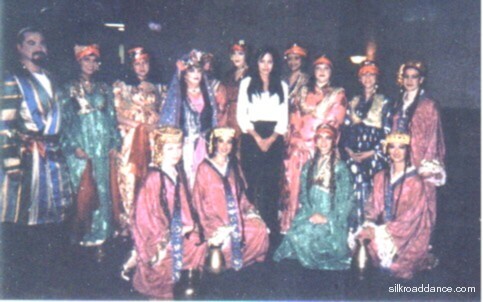 Silk Road Dance Company was invited to represent the United States at the UNESCO sponsored Sharq Taronalari International Festival, August 24-31, 2005, in Samarkand, Uzbekistan. The ensemble is the first American dance group to be included in the event. 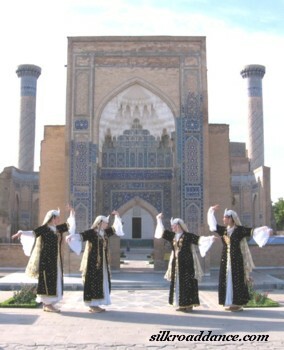 As cultural ambassadors, Silk Road Dance Company works to bring the beauty and grace of Central Asia and the Middle East to American audiences through dance. WASHINGTON, D.C., June 18 (UNHCR) - The American capital will come to life with unique sights and sounds from around the world as World Refugee Day unfolds on June 20 at the Kennedy Center Millennium Stage and the National Geographic Explorers Hall. A Hmong rapper, together with Afghan, Kurdish, Tajik, Iranian, Azerbaijani, Egyptian, Georgian, Cambodian, Salvadoran, Sudanese, Laotian, Ethiopian, Senegalese and Malian dancers, singers and performers will display their talents in three days of free performances for the public. Many of the performers are themselves young refugees, highlighting the event's theme of "Refugee Youth - Building the Future". UNHCR's Goodwill Ambassador, Angelina Jolie, will launch the World Refugee Day celebrations at the National Geographic Society, joined by US Deputy Secretary of State Richard Armitage and a 13-year-old Afghan refugee.